Paloma Faith attended the Claridge’s Zodiac Party hosted by Diane von Furstenberg and Edward Enninful to celebrate the Claridge’s Christmas Tree, ‘The Tree Of Love’ By Diane von Furstenberg on Thursday (November 29) in London. Some of you might feel this Simone Rocha Fall 2018 look is overkill on Paloma. Personally, I love it. Mostly because she’s a fashion risk-taker, and I love this alternative offering of a festive look. She nailed this for me, especially with the addition of the patent leather red boots. 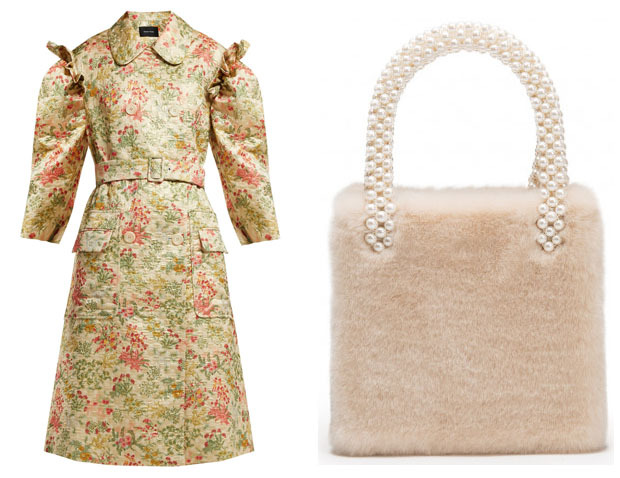 A Shrimps ‘Una’ faux fur and pearl bag completed her look.